Originally the town had a shorter, easier to pronounce name: Llanfairpwllgwyngyll. In the 1880s, in a joking attempt to attract tourists, a tailor added the rest of the syllables, bringing the total length to 58 letters, including four letter L's in a row. 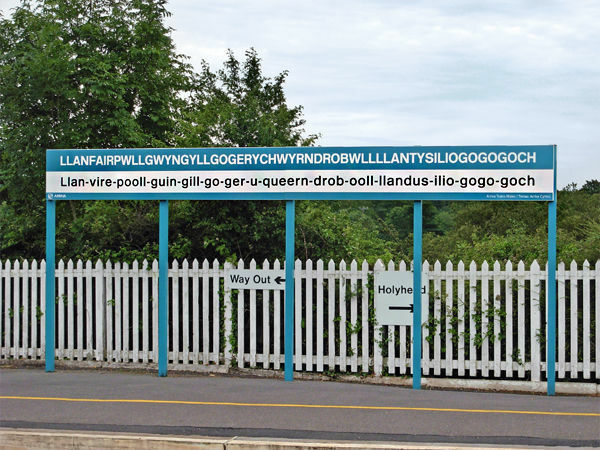 "What does Llanfairpwllgwyngyllgogerychwyrndrobwllllantysiliogogogoch mean?" I asked the lady at the tourist information office. Well, OK, what I really said was "What does that thing you just said mean?" There's not much to do in "Llanfair PG," as it is listed on most maps, other than buy the T-shirt (available at the tourism office), take pictures of the sign on the train station platform, and pester the tourism office lady to say it again. If you're so inclined you could stop in at the James Pringle Weavers shop, a souvenir superstore next to the train station that caters to big-bus tours — ask nicely and they'll stamp your passport with the village name. 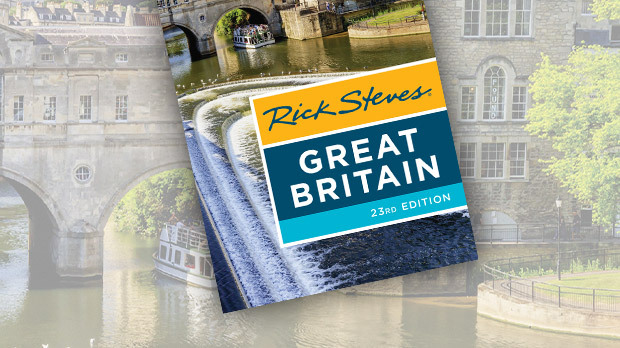 Yes, it's silly, but it's also fun to witness the fuss made over a town name — and, sitting just over the bridge that connects the mainland to the Isle of Anglesey, it's an easy and scenic detour from the castle towns of Caernarfon and Beaumaris,. A single Welsh F is pronounced like an English letter V.
A double F (as in the town of Ffestiniog) is pronounced like an English F.
A single L is pronounced like an English L.
A double L (as in Llanfair) is pronounced like an English L, but you blow air out along the sides of your tongue as you say it. CH is a heavily aspirated H, pronounced with the tongue back in the throat, similar to the German CH. The letter Y is an "uh" sound unless it is at the end of the word. Then it's an "ee" sound. In Welsh, W is a vowel with an "oo" sound. The Welsh word for "bus" is "bws" (pronounced "boos"). The word for "beer" is "cwrw" (pronounced "cooroo"). 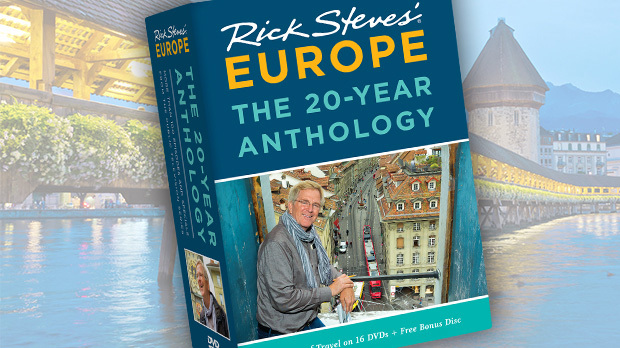 Dave Fox is a veteran Rick Steves tour guide; find more of his travel and humor writing at globejotting.com.